We’ve all been there. You might be sat at home, playing away on your games console whilst your girlfriend wants to watch television, or spend time with you, perhaps even cuddle, go out to dinner or even do some other things, but your mind is focused on only one thing, and that’s gaming. 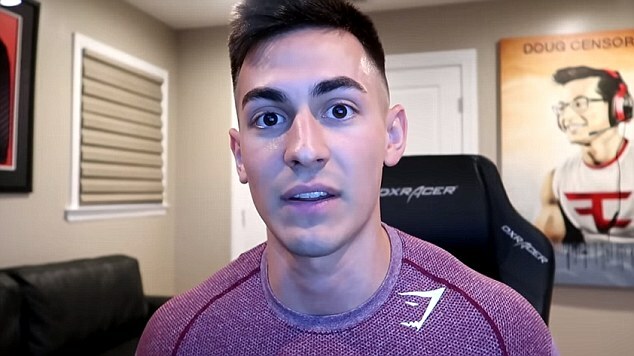 Such is the case in the story of YouTuber Douglas ‘FaZe Censor’ Martin, 23, who had been dating the famous “World’s Sexiest Weather Girl” Yanet Garcia from Mexico’s ‘Hoy’ (Today) show, made famous by her derriere in suggestive outfits and poses, which made her into a social media star, going viral for her form whilst reporting on the weather. Muy caliente! However, Douglas dumped Yanet last week after three years together, lamenting that he needed more time to focus on ‘Call of Duty’ full time, in order to become a professional gamer, and go on to win championships. Douglas Martin said that he will do “whatever it takes” to become a gaming champion. Yanet Garcia became famous when her weather reports went viral, and took the male faction of social media users by storm, such is seen here by Ozzy Man Reviews, which clearly points out Ms. Garcia might just be the best weather forecaster in the whole world. Meanwhile, Yanet Garcia posted on social media that she was “heartbroken” and retweeted a tweet that said, ‘Respect yourself enough to say, “I deserve better’. Douglas Martin had to choose his “poison”, Yanet Garcia the “World’s Sexiest Weather Girl”, or ‘Call of Duty’ the game, and he chose the latter. Yanet Garcia will have to keep herself happy with her 6.5 million Instagram followers and her many admirers for now, but she’s taken a pretty big hit emotionally, in being replaced by ‘Call of Duty’.